A layover in Singapore is a surprisingly awesome experience. Not only are you saving money on accommodation (if your layover is overnight), you have plenty of things to keep you occupied and entertained! 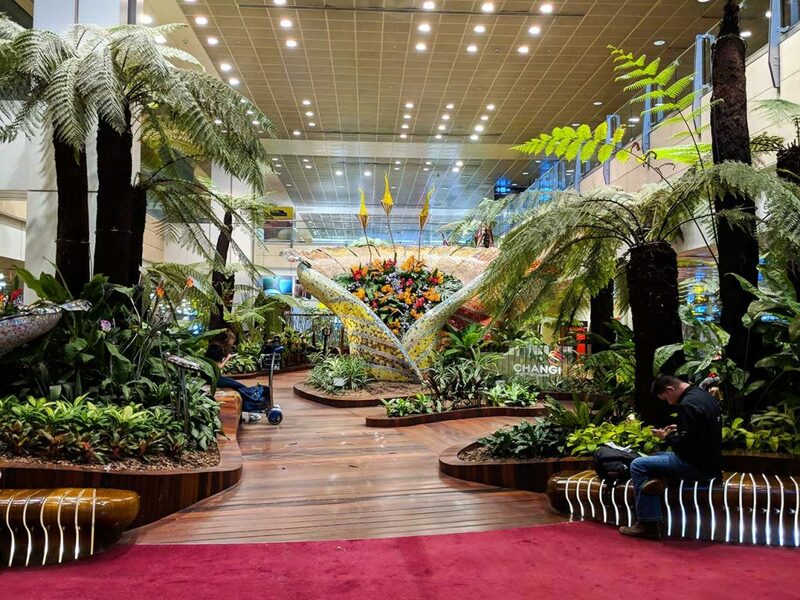 If you do happen to be staying the night, Changi Airport has some of the best lounges away from the busyness so you can find some peace and quiet and start snoozing. Your overnight stay in Singapore can be a ton of fun if you have the stamina. Just grab some coffee and keep going! We had an overnight stay twice, once from Thailand to Bali, and then from Bali to Taipei. Changi Airport is easy to navigate. Terminals 1, 2, and 3 are accessible by foot or by skytrain. It’s a huge airport so they’ve also included lines upon lines of travelators. 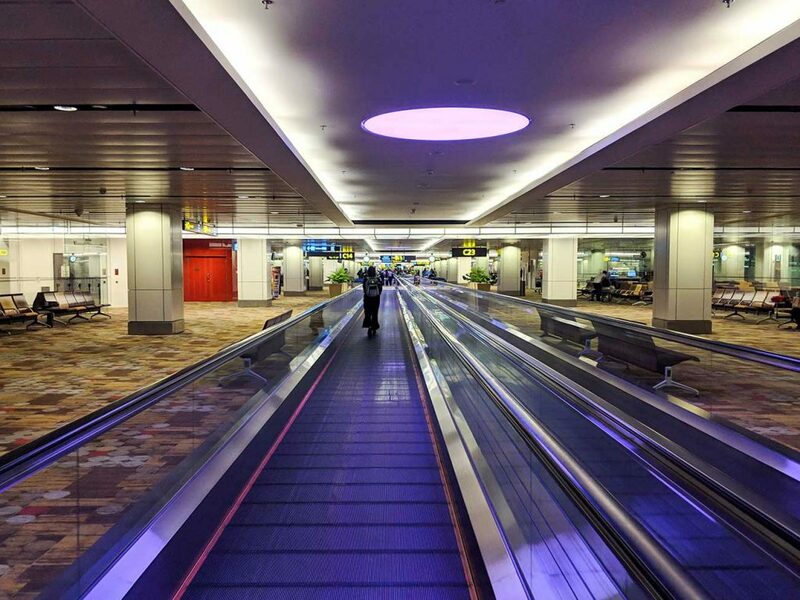 If your layover in Singapore is overnight then you’ll be using these a lot as you explore terminals 1, 2, and 3. 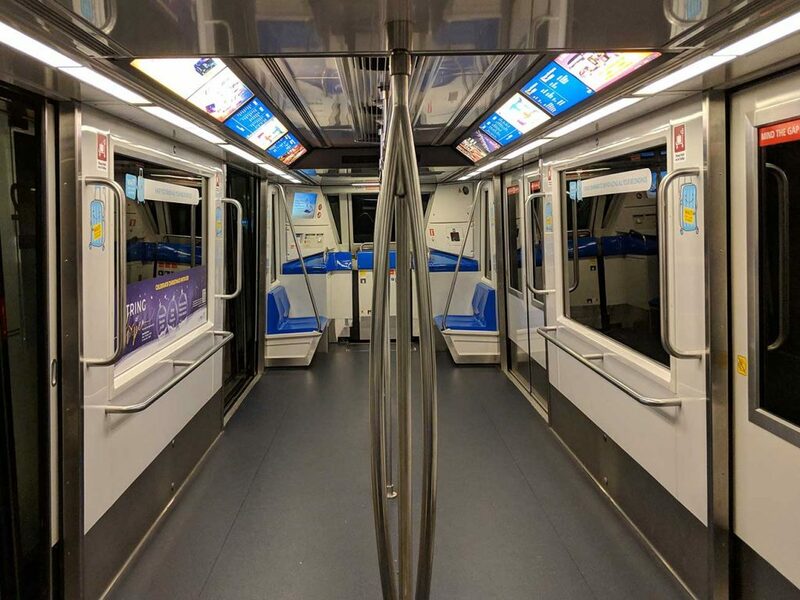 The skytrain closes every night for maintenance from 2:30am to 5am but when it is up and running then it’s a quick and easy way to travel between terminals. We briefly used it before it closed for the night. Unfortunately, we did not get to visit terminal 4. We’ve heard awesome things about it and it was just opened in 2017. However, to get there you have to take a free shuttle bus from terminal 2. It leaves ever 20 minutes from 12am to 5:30am and every 10 minutes the rest of the day. The sole reason we were so excited to have a layover in Singapore. And the sole reason we were disappointed. There had been a Dunkin Donuts in Changi until October 2018 so we just missed it! What bad luck. It’s being replaced by a noodle shop. Why would you replace Dunkin? There’s no reason. Okay, so there’s no Dunkin Donuts anymore, but there’s a Krispy Kreme! However, it’s not open for 24 hours. We arrived after 1am to find it was closed! Both times. This definitely brought our mood levels down, but we were determined to make Changi Airport a great time! You can find the Krispy Kreme in a small food court in Terminal 3. This is a great place to kill some time if you have a long layover in Singapore. 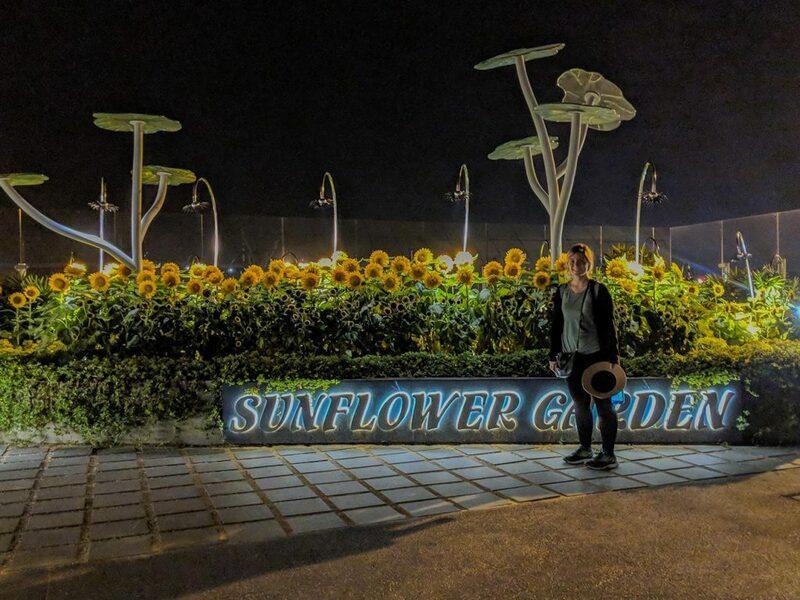 There is a movie theater, a sunflower garden, Xbox Kinect, retro arcade games, Playstations and LAN gaming computers. However, it seems the only thing that is open overnight is the movie theater. They play many recently released movies throughout the day and all through the night. 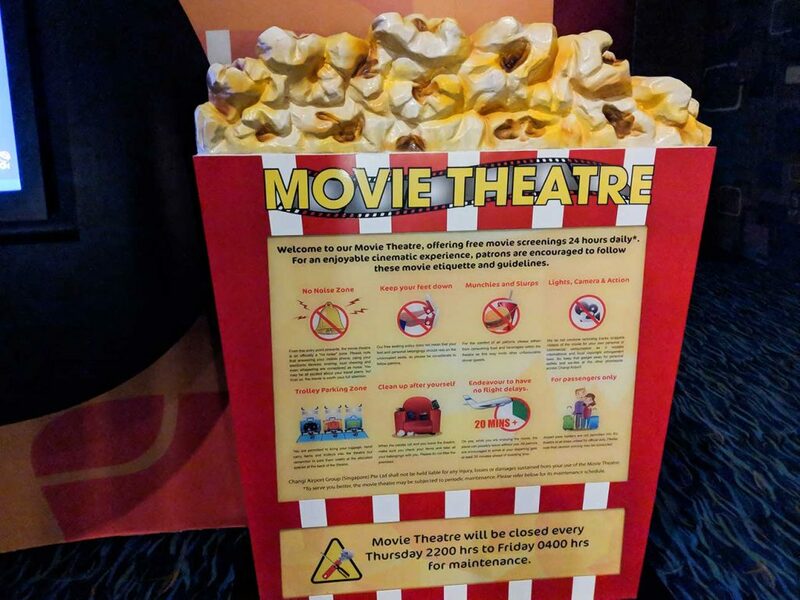 The movie theater is a small dark room and the entertainment deck as a whole seems like a nice dark place to catch some zzz’s if you’re there overnight. You can find the Entertainment Deck in Terminal 2. Terminal 4 also offers arcade games and an Xbox Kinect as well as a kid and adult friendly playground. It’s incredible how many gardens this airport has. They’re all over the place and beautifully manicured to perfection. Each garden features a different plant. 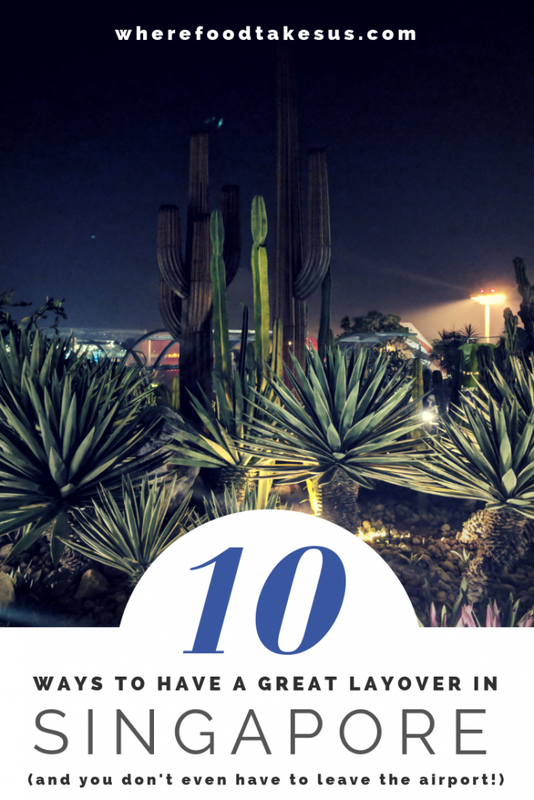 There’s the cactus garden, the sunflower garden, the orchid garden, and many more! You can see signs for them all over the place and even at night they’re a sight to behold! Some gardens are even indoors. You’ll see all sorts of information kiosks throughout the airport. They can help you find dining, shopping, restrooms and more! They even show you how to get to your chosen location. There are also kiosks that allow you to look up your flight and it’ll give you all of the necessary information like your gate number! These are great because you can just scan your boarding pass or search for your flight manually and stay up to date on your flight. This is useful because if your airline cancels your 5am flight to Bali while you’re still in the air to Singapore (like us), it’s good to realize this ASAP. If your layover in Singapore is during the day then you’re in luck! If it’s overnight you still have options, just not as many. There are restaurants everywhere in this airport. From fine dining to McDonald’s and everything in between, you can find something to appease your appetite. For you overnighters: sadly the donuts don’t seem to be available after midnight, but you’ll find many coffee shops, some ramen, a McDonald’s, and a few food court-type restaurants. If you’re craving some booze then there are multiple O’learys that have the bar open all night. Need that power nap? 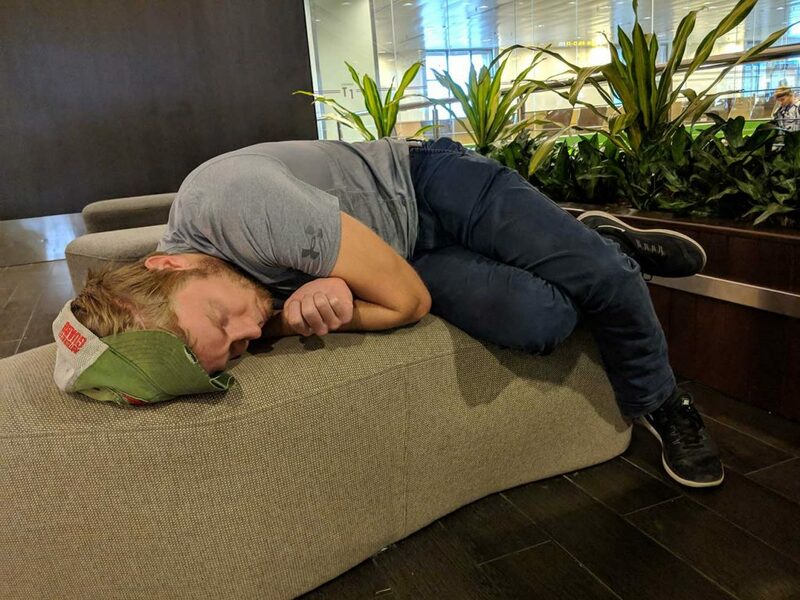 Every terminal has some great places to pass out. In fact, Changi Airport’s website boasts being voted the best airport for sleeping in the world! From free to use snooze lounges to booking a room in a transit hotel to just finding the most comfortable chair, it’s not hard to find a place to get some shut-eye. Our favorite spot to doze off, mostly because it’s the terminal we arrived and departed from, is terminal 1. There’s a small cafe next to a charging station and there are cushioned lounge chairs everywhere. It’s a very quiet place where you can get some rest. However, starting around 5am, a massive megatron turns on and starts blaring music so you’ll want to be sure and miss that. 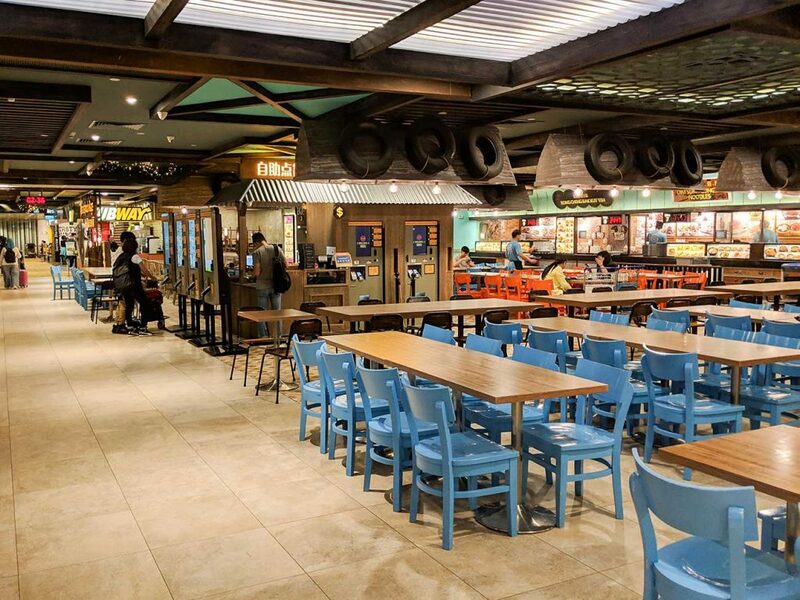 No matter what terminal you are in, there are a plethora of resting areas that can accommodate the weary traveler. Our first layover in Singapore, our flight was canceled and we got to stay an extra 6 hours, making our time in the Singapore airport a whopping 10 hours. Woo hoo! The airport gets insanely busy for the morning flights so we jumped from chair to chair every couple hours, as each one would get crowded as time progressed. The speed is fast and it’s very easy to access. You can go to a customer service desk and show them your passport. They’ll scan it and give you a code that lets you access their WiFi for three hours. But your layover is longer than three hours? Just go back and get a new code or download their app for 24-hour access! That easy. 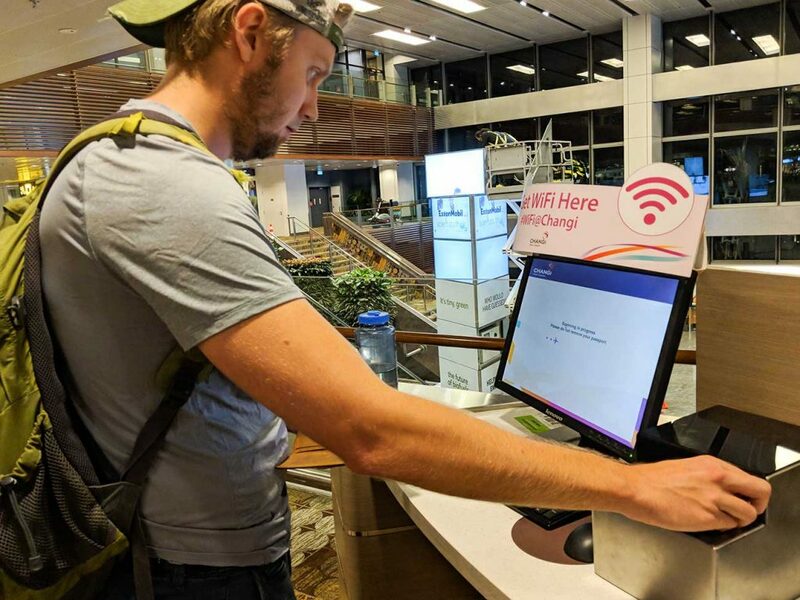 An even easier option is walking up to a computer station (these are sprinkled throughout the terminals) and scanning your passport yourself. You’re immediately given a code and it’s the same scenario. Three hours of usage and repeat. Unfortunately, if your layover in Singapore is at night then you can’t partake in this incredible experience. 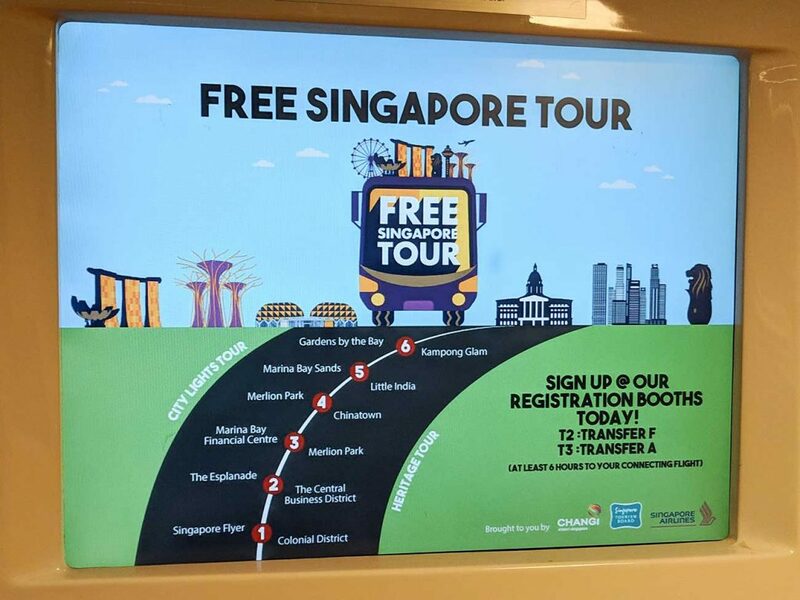 Changi Airport offers tours for free! If you have 5.5 hours or more for your layover then you can sign up. The first of the two tours is the heritage tour. It runs 5 times a day and will take you to see Singapore’s architecture in their colonial and cultural districts like Chinatown, Little India and Merlion Park. The other tour is the city sights tour and it runs 2 times a day. You’ll see Merlion Park, Marina Bay Sands the Esplanade and more! A perk of this tour is seeing the Avatar-like supertrees at Gardens by the Bay. Many airports have mini shopping malls in them. 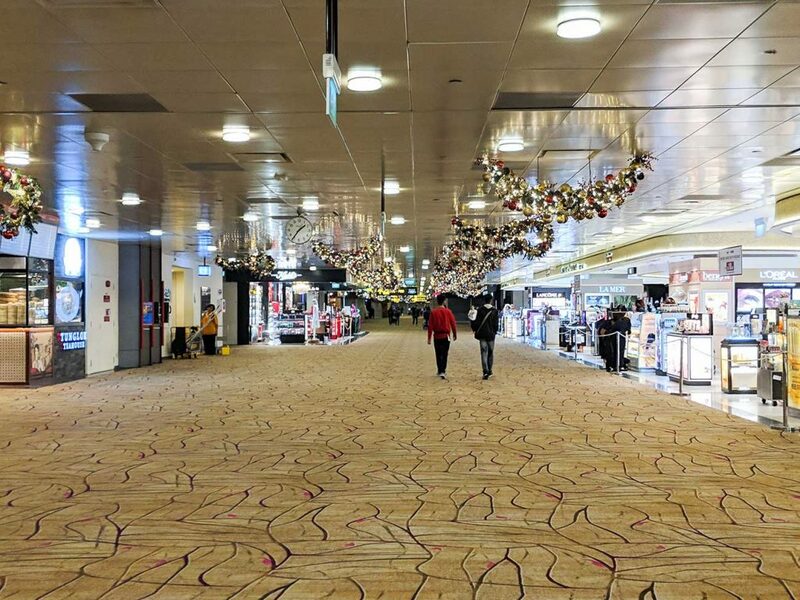 Changi is no different… It probably has the largest shopping selection we have ever witnessed and some of the stores are open all night long. Add some slot machines and you’d have a Las Vegas. 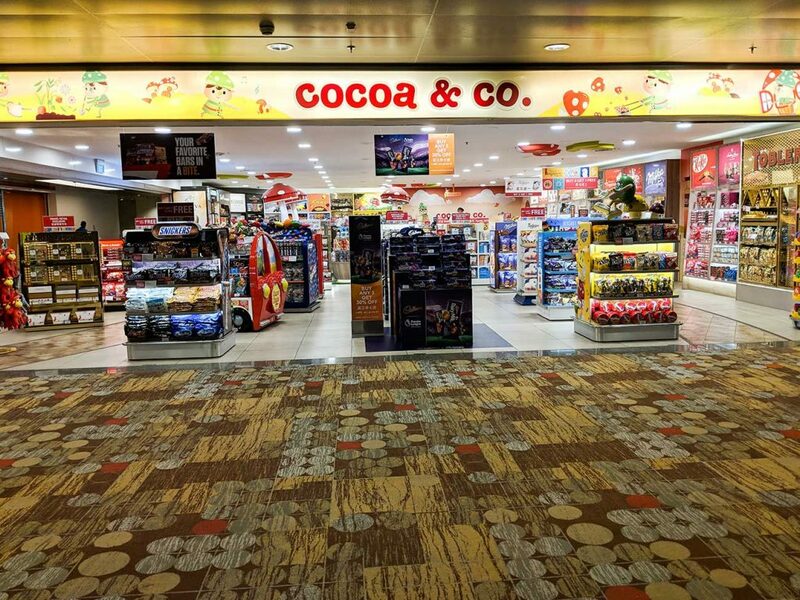 You can peruse Victoria’s Secret or buy a high-end watch while munching on candy you bought from a nearby candy store during your layover in Singapore. The options are (almost) endless for any type of shopper. The prices do seem like every other name brand store in any airport. Expensive! From 6am to midnight you can enjoy a dip in the rooftop swimming pool or a soak in the jacuzzi located in Terminal 1. The poolside bar is a nice addition and if you don’t like smelling like chlorine then there are showers you can rinse off in. Singapore’s Changi Airport is legit. 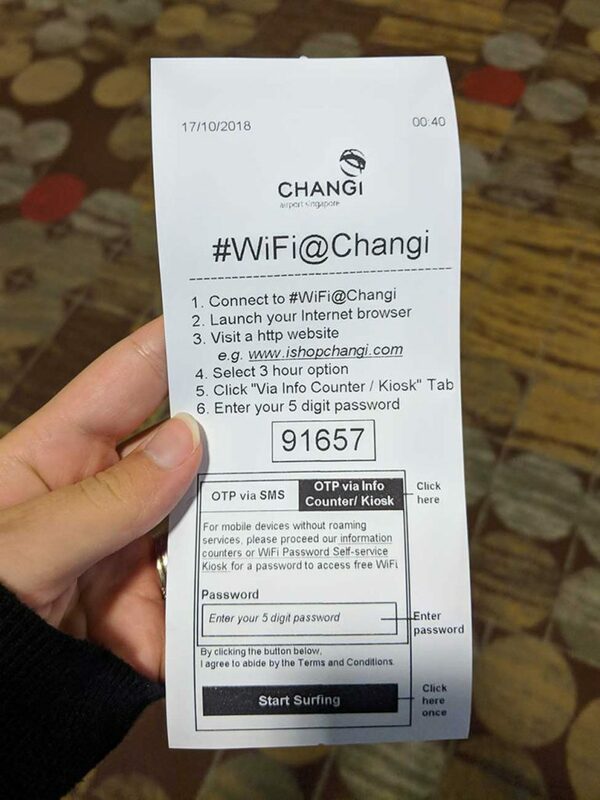 Aside from all the awesome perks this airport offers, Changi’s customer service is outstanding. The airport staff are very helpful and friendly and can help you with any question you have. We almost forgot the mention the squeaky clean bathrooms. We’ve never experienced bathrooms in an airport that were this clean. You can also rate your bathroom experience on tablets as you exit. 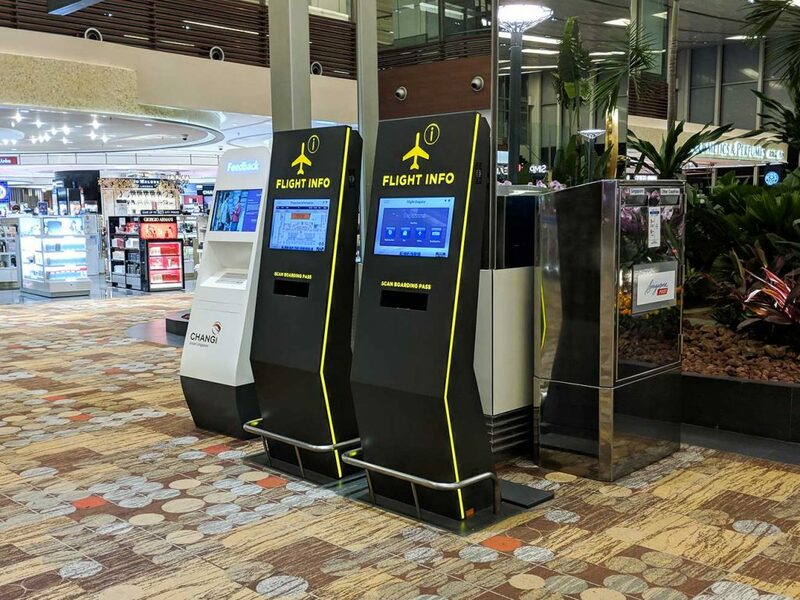 These rating tablets are placed throughout the airport for the many amenities Changi offers. Why not plan your flights so you can spend a layover in Singapore and check it out for yourself? We recommend doing so! Check out Changi’s website to plan your layover. 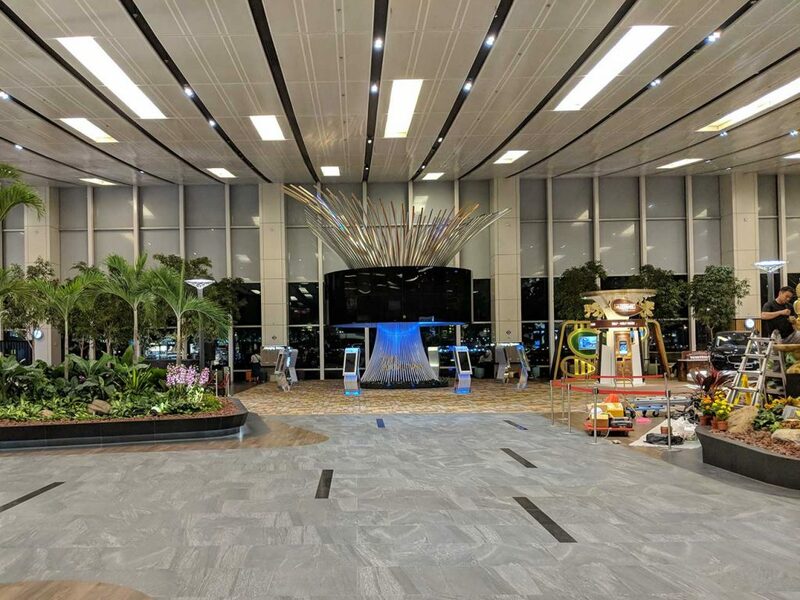 I have been to Changi airport multiple time and it always has something new to offer. Last time I went to the butterfly garden which I hadn’t see earlier. We were sad we missed out on the butterfly garden but it was incredible to be in the sunflower garden. Singapore’s airport is full of many wonderful surprises! Ok. From now on, I am officially announcing that I don\t mind having a layover in Singapore. Heh, but I think Singapore deserves much more than a layover. It definitely does deserve more and we’re really sad we aren’t able to see more of it this time around. Right! Everything that have been said here is true. This is the best airport in the world for me where you wont get bored ever even if you get layover for hours!!! I actually think it’s the ideal city for a layover! Thanks so much for putting this together! We completely agree! We purposely plan our layovers in Singapore. Wow! The free tour of the city sounds great for those who have over 5 hours of layover. May be slightly rushed, though. Me, I would prefer to laze around and enjoy the airport facilities that you mentioned. We wish we could have taken the tour since we had two long layovers in Singapore (both at night, sadly). But you’re right, it wouldn’t have satisfied our desire to see more of Singapore. Singapore is hands down my favorite airport I’ve been to! If I had to have a long layover, this is where I’d want to be. Too much to do to get bored! We agree! A layover during the day would probably be better if you can plan it but we still enjoyed it over night! Ultimate, indeed! Wouldn’t mind another long layover at Changi in the future. Thanks for your comment!